AllianceCapital - Mutual funds white papers. 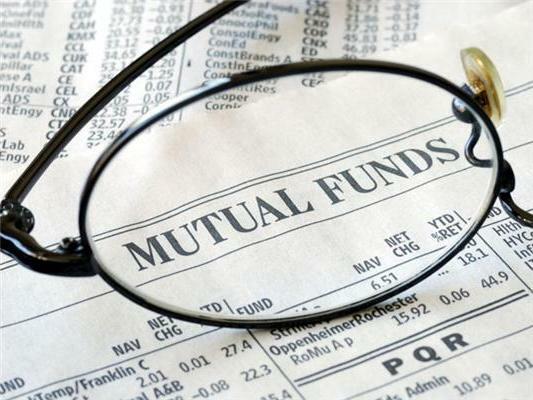 Calvert Group Mutual Funds - Known for offering socially-screened mutual funds as well as tax-free investment products. Database on 401(k) Plan Participants - The Employee Benefit Research Institute and the Investment Company Institute have been collaborating since 1996 to develop the most comprehensive database on 401(k) plan participants yet assembled. Participant data include demographic, contribution, asset allocation, and loan and withdrawal activity information. Domini Social Investments (DSI) - The Domini Social Equity Fund (DSEF) is a no-load mutual fund which seeks to provide its shareholders with long-term total return which corresponds to the total return performance of the Domini 400 Social Index (DSI), an index of 400 companies that pass multiple broad-based social or ethical screens. The DSI includes companies with positive records in community involvement, the environment, employee relations, product related issues, and hiring practices. It strives to avoid companies with significant revenues from alcohol, tobacco, gambling, nuclear power and weapons contracting. Dreyfus Investor - A leading mutual fund company and subsidiary of Mellon Bank, NA. Eaton Vance - A cornerstone of Boston's mutual fund industry, Eaton Vance manages more than $35.5 billion in over 70 mutual funds that are owned by more than 500,000 shareholders. Franklin Income Fund (FKINX), Class A - The Fund seeks income by selecting investments such as corporate, foreign and U.S. Treasury bonds, as well as stocks with relatively high dividends. Views portfolio's holdings here. Fidelity Investments - Fidelity's team of analysts and portfolio managers is the largest in the industry, managing over 150 Fidelity funds. Franklin Templeton - One of the largest mutual fund organizations in the U.S.
Green Century Funds - Promotes corporate environmental responsibility by investing in companies that are in the business of solving environmental problems. Hartford Checks and Balances A (HCKAX) - The investment seeks long-term capital appreciation and income. The fund invests in a combination of Hartford mutual funds. The fund normally makes equal allocations of assets to the underlying funds. The fund normally rebalances back to one-third each whenever the fund invests in any single Underlying Fund deviates from the target allocation by more than 5%. The underlying funds use a broad array of investment strategies, and may invest in a wide variety of instruments. See fund filings here. Invest Wisely: An Introduction to Mutual Funds - A U.S. Securities and Exchange Commission backgrounder n mutual fund investing. Investment Company Institute (ICI) - The national association of U.S. investment companies, including mutual funds, closed-end funds, exchange-traded funds (ETFs), and unit investment trusts (UITs). ICI seeks to encourage adherence to high ethical standards, promote public understanding, and otherwise advance the interests of funds, their shareholders, directors, and advisers. Investors FastTrack - ETFs, open/closed end funds, no load, load, sector funds . . . so many choices. Thousands of individuals and money managers looking for sanity have used FastTrack software and data since 1989. FastTrack tells how to shift assets to stay in the best funds. Coverage includes all funds, not just the most popular, ETFs, no loads, Fidelity, and Vanguard funds. Morningstar - A leading provider of mutual fund, stock, and variable-insurance investment information. Also see Morningstar FundInvestor. MSN Money: Mutual Fund Screener - Identifies mutual funds that best match your investing strategy. Neuberger Berman, LLC - Funds sold directly, through brokerages and banks, and through a variety of mutual fund supermarkets. Pacific Investment Management Company (PIMCO) - A leading institutional money manager. Parnassus Investments - Parnassus Investments serves the growing community of investors who believe their assets should be chosen with a conscience as well as financial savvy. Parnassus Investments has two funds from which to choose: The Parnassus Fund and the Parnassus Income Trust. Russell - Russell offers diversified funds and investment planning services to defined contribution plans, defined benefit plans, endowments, foundations, and individual investors. T. Rowe Price - Find out what T. Rowe Price fund managers are saying about recent market trends and prospects for the future. Daily prices, market summaries, prospectuses, more. TIAA-CREF Web Center - With more than $250 billion in assets under management, TIAA-CREF is a leading financial services organization, a major institutional investor, and the world's largest retirement system. Mutual funds, IRAs, tuition savings programs, trust services. Trillium Asset Management - Socially responsible investment. Vanguard - A leader in the mutual fund industry. Wasatch Funds - Specializes in managing assets for institutional and individual clients through investments in small and mid size companies. Investment Company Institute (ICI) - National association of the American investment company industry. Its membership includes 8,414 mutual funds, 489 closed-end funds, and eight sponsors of unit investment trusts. Its mutual fund members represent more than 83 million individual shareholders and manage approximately $7 trillion. The Institute represents its members and their shareholders in matters of legislation, regulation, taxation, public information, economic and policy research, business operations, and statistics. Lipper - A global leader in supplying mutual fund information, analytical tools, and commentary. Lipper's benchmarking provides a trusted guidepost to asset managers, fund companies, financial intermediaries, traditional media, web sites, and individual investors. MetaMarkets - An online world of ideas and interactions for sophisticated investors. Morningstar - A leading provider of mutual fund, stock, and variable-insurance investment information. Mutual Fund Investor's Center (MFIC) - The not-for-profit trade association of the no-load mutual fund industry. Learn about member companies and their funds. Large collection of mutual fund companies, website links, fund listings, and planning, tracking and monitoring tools. SocialFunds - Personal finance for social investors. Complete coverage of social mutual funds, community investment, shareowner action. Unit Investment Trust - Wikipedia backgrounder. Yahoo! Finance Company and Fund Index - Company profiles provide information on over 9,000 public companies, including contact information, business summaries, officer and employeee information, sector and industry classifications, business and earnings announcement summaries, and financial statistics and ratios. Yahoo! Fund Profile - Top mutual fund performers overall.